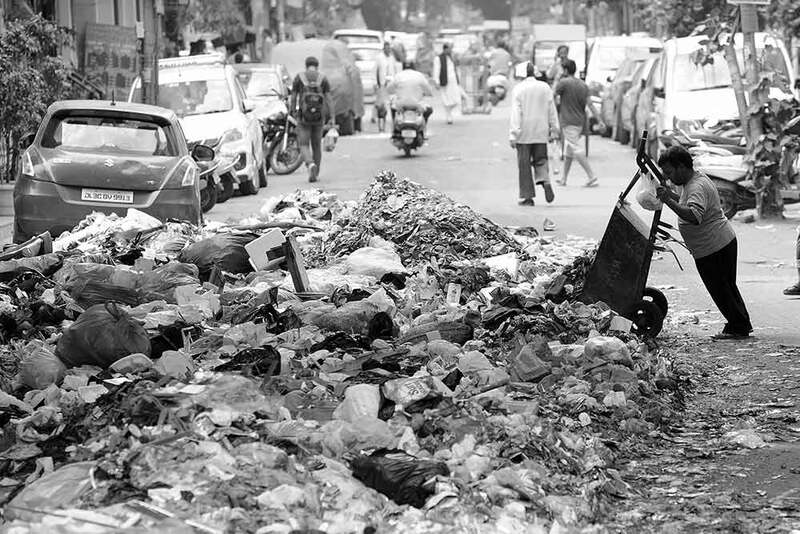 Despite declamations of cleanliness, we build Qutub Minars of apathy by simply dumping solid waste all around. Rag pickers from unauthorised basti’s around the Bhalswa landfill gather around a newly arrived garbage truck to collect pieces of plastic and other material they can sell. 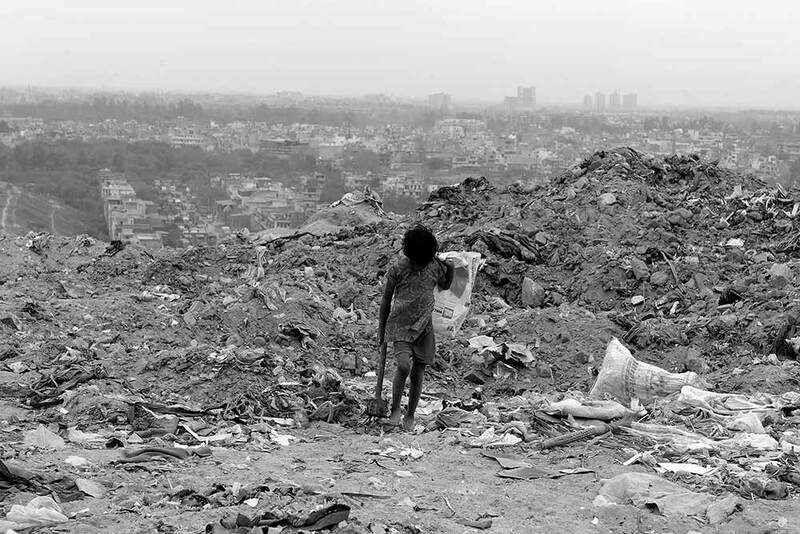 A small child walks around the Bhalswa landfill looking for recyclable garbage. 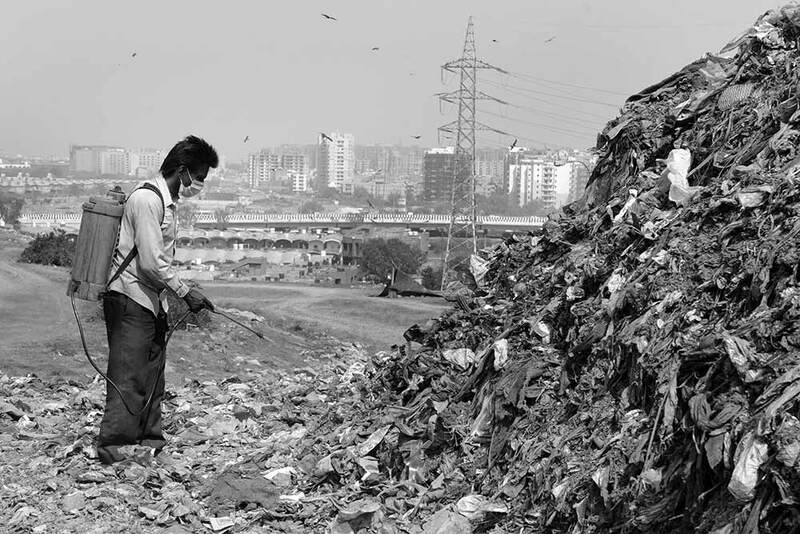 The pieces of cardboard, plastic and cloth are sold to earn a living. 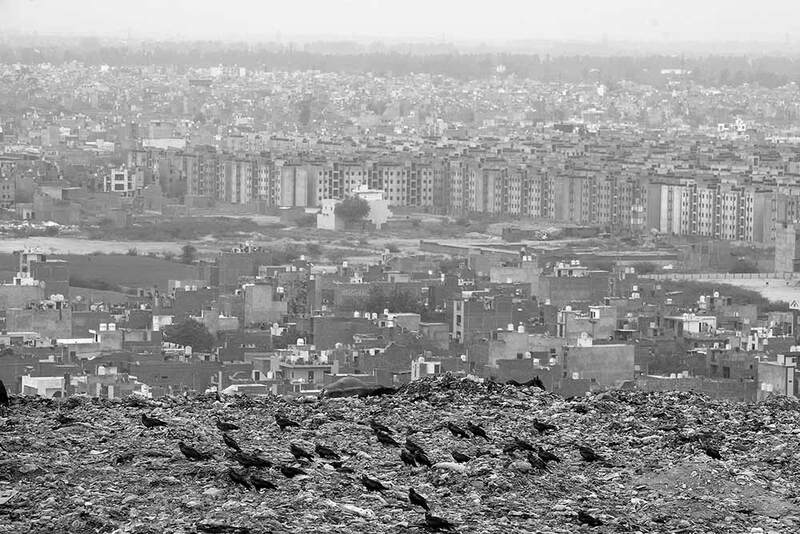 The view of North Delhi’s residential complex’s from atop the 55 meter high Bhalswa landfill. 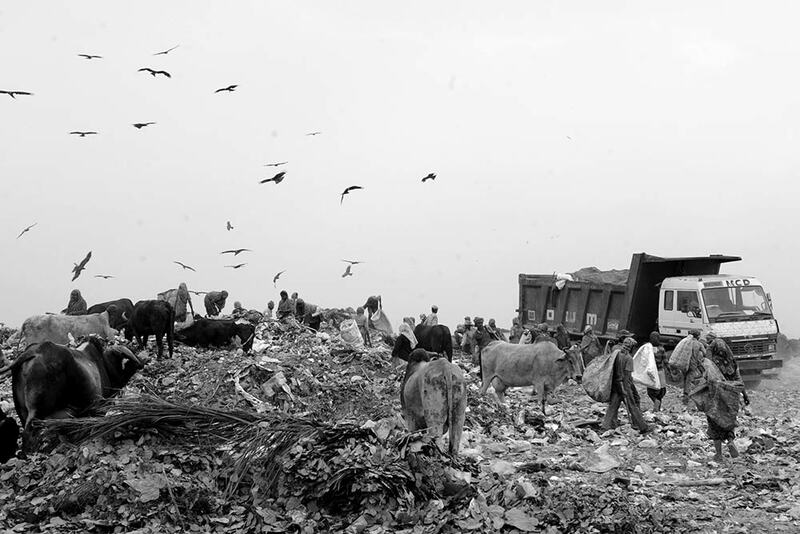 The unrestricted access to the landfill often means cattle from nearby find a grazing ground at the landfill. 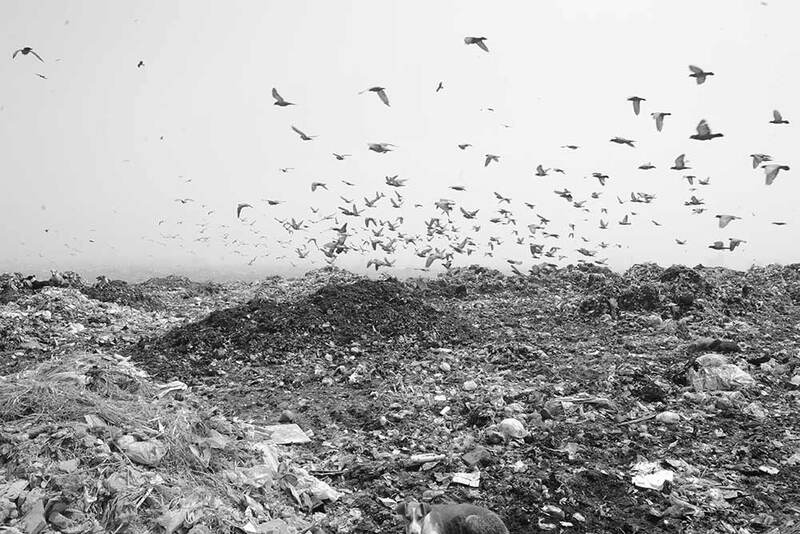 The top of the Bhalswa Landfill is streaming with activity as trucks come to dump the garbage collected from the city every few minutes. 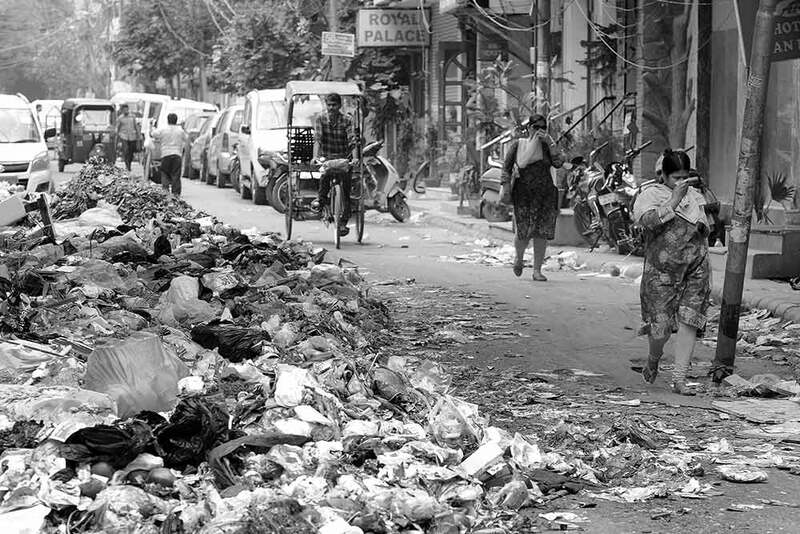 Life goes on in Delhi’s Karol Bagh despite huge mounds of garbage lying around on the roads. 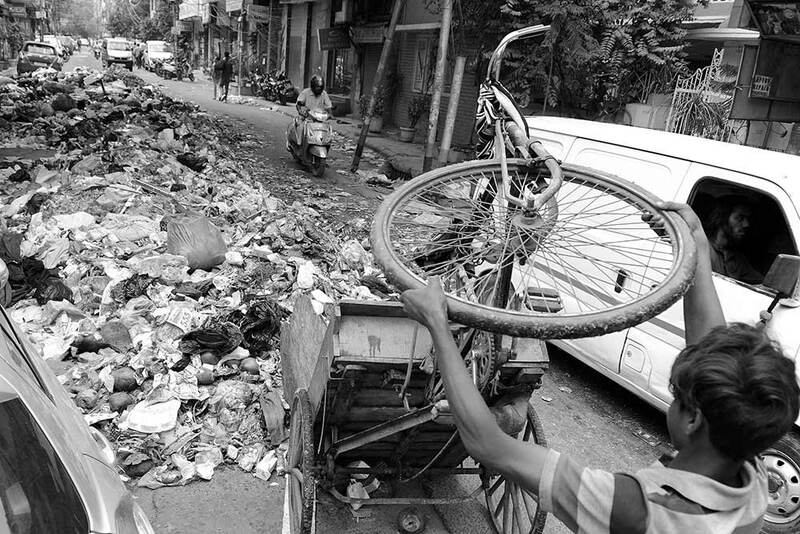 A local MCD worker empties a trash trolley in an unauthorized garbage dump at Karol Bagh. 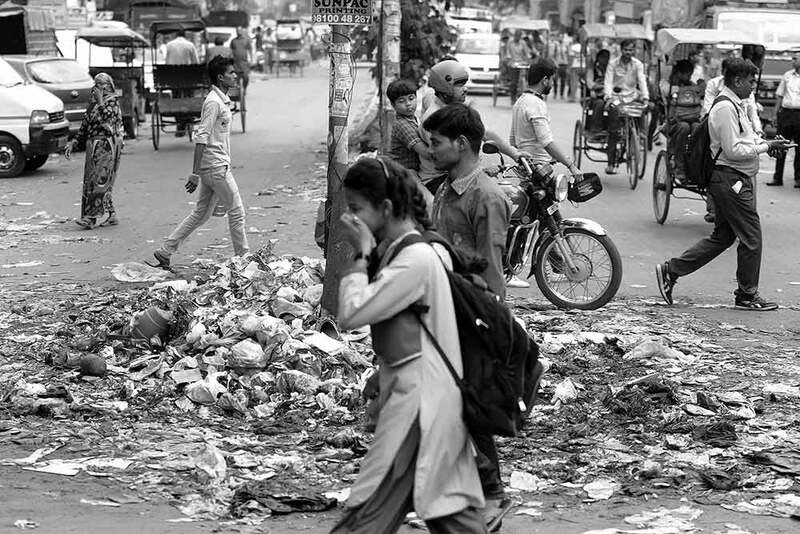 Residents cover their faces to avoid the smell emitting from the garbage thrown on the roads. 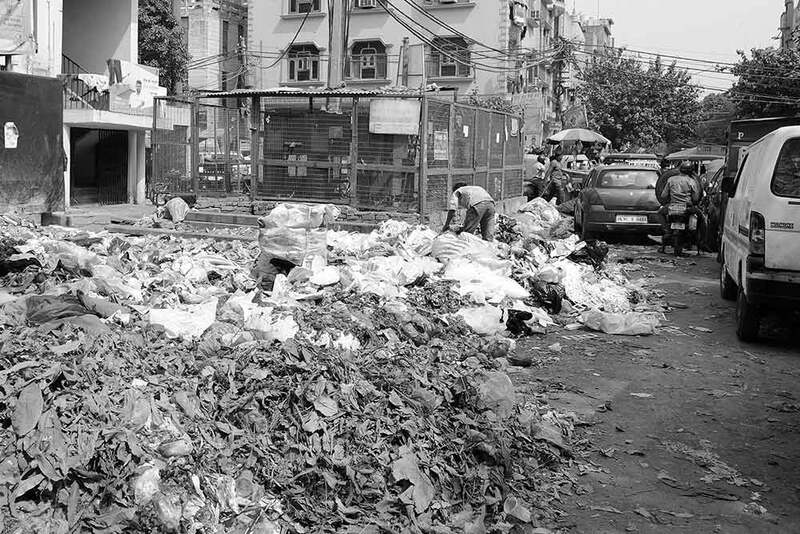 There is a lack of segregation of biodegradable and non bio degradable waste in the city. 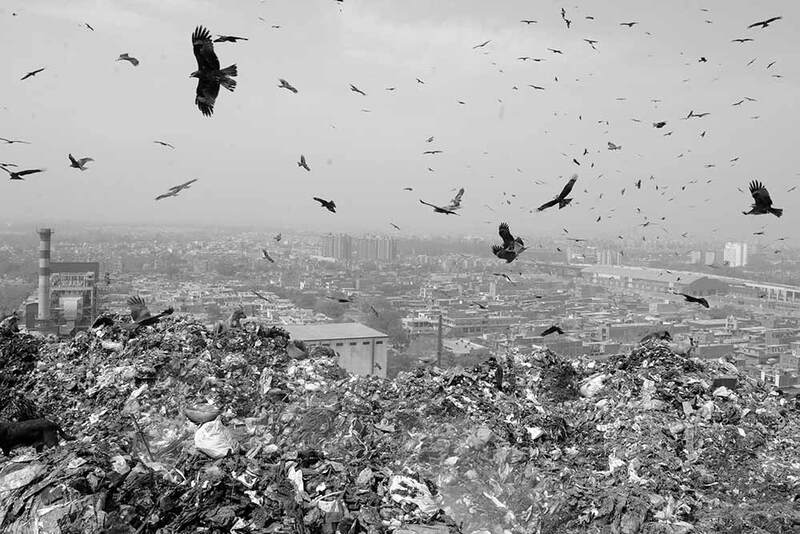 Atop the Ghazipur dump yard, dogs and vultures claim the area. 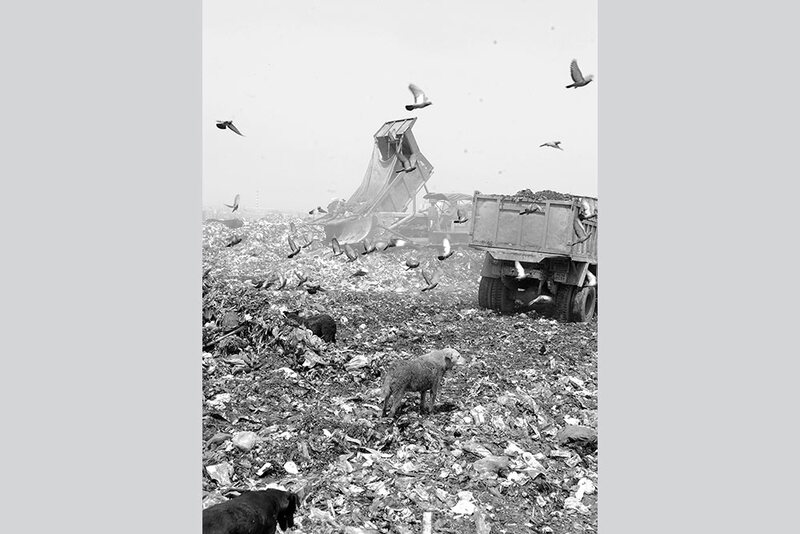 Unlike Bhalswa, Rag pickers are not allowed into the Ghazipur dump yard which often means the only life you see is dogs and vultures. 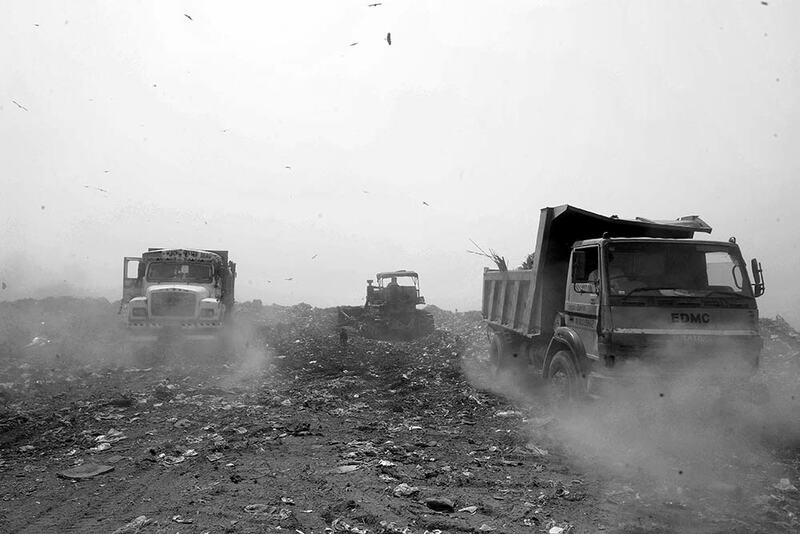 Garbage trucks entering the Ghazipur landfill to empty the garbage collected from the city. 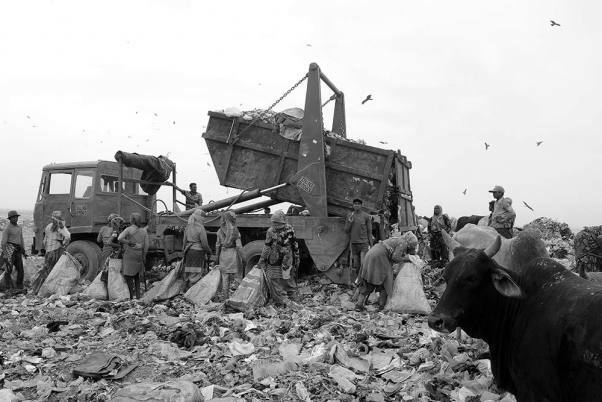 Each truck carries up to six tonnes of garbage. 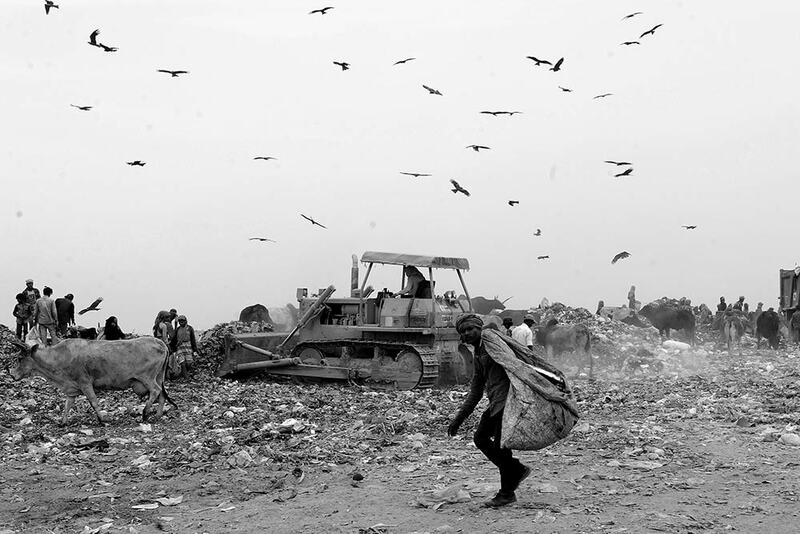 Ghazipur is one of the oldest Landfills in Delhi and was made in 1984. 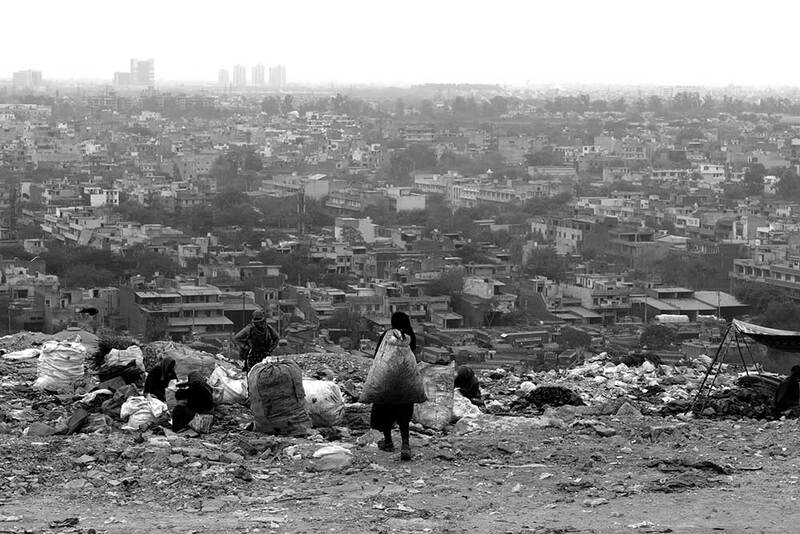 The view of the city from atop the Ghazipur landfill. 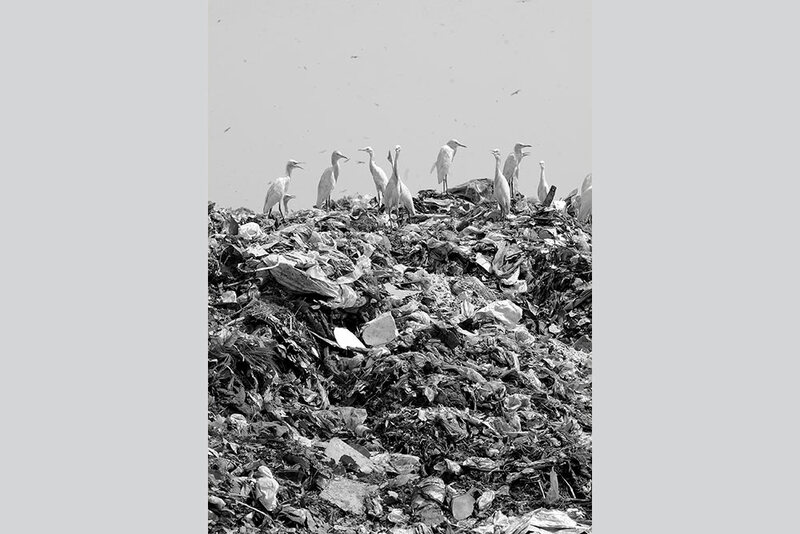 Suprisingly, a wide variety of birds can be seen living in the Ghazipur Landfill. 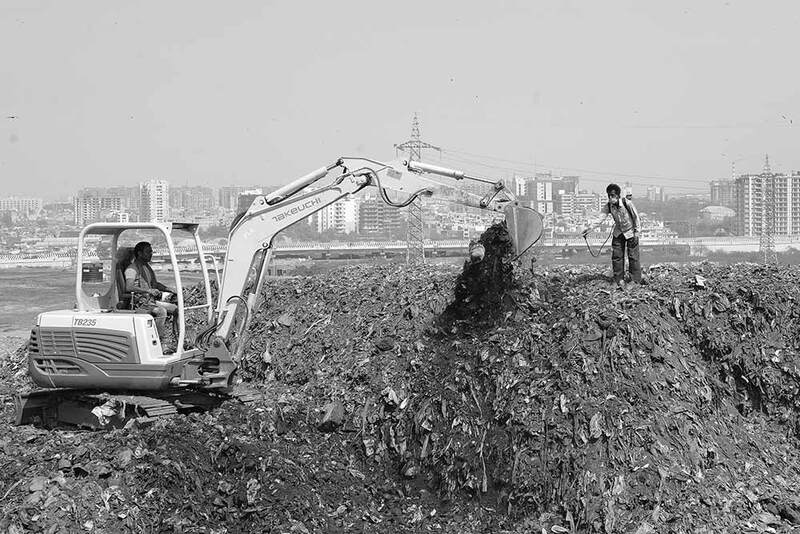 The dumpyard is almost 50 meters in height. 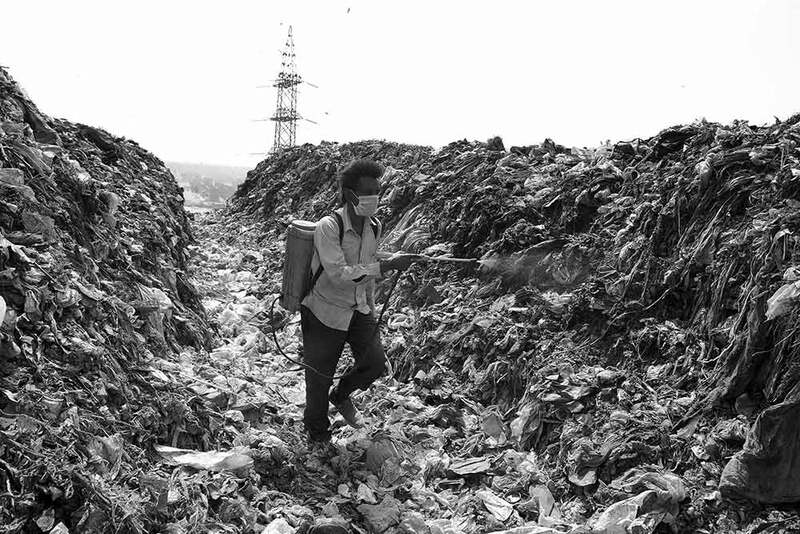 A part of the Ghazipur landfill has been beautified by covering the dump with grass. 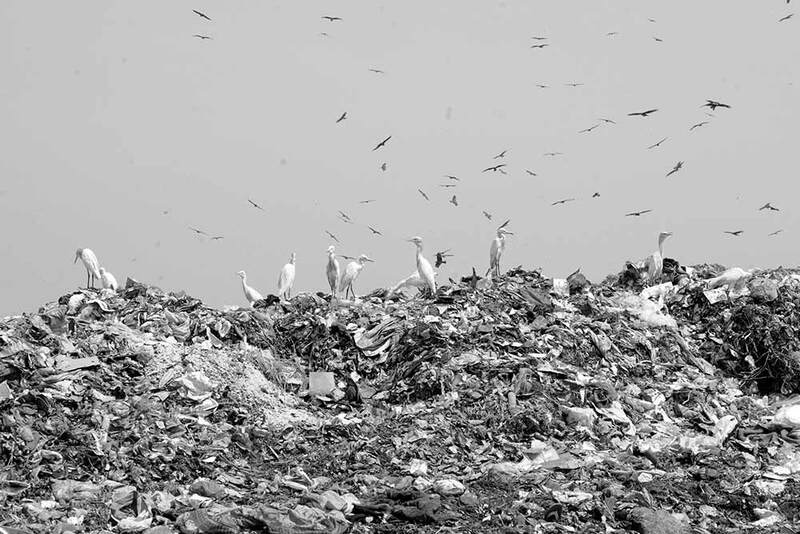 Cranes sit on top of the landfill looking fro food. 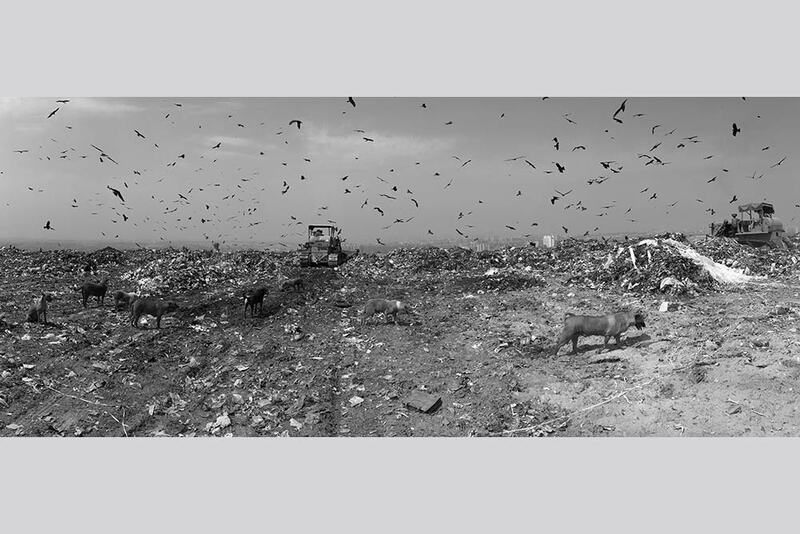 Two feet high long windrows being created using old and new waste landing at Ghazipur landfill. 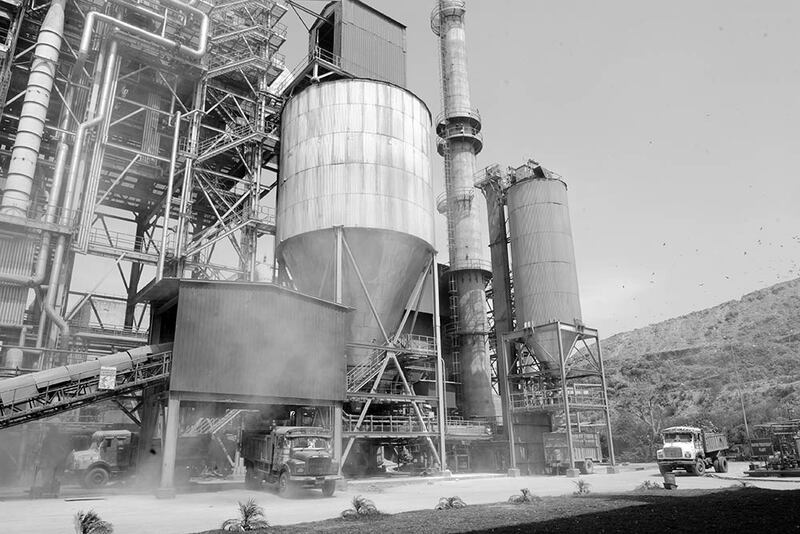 This helps to reduce odor, emission of harmful gases and combustion. 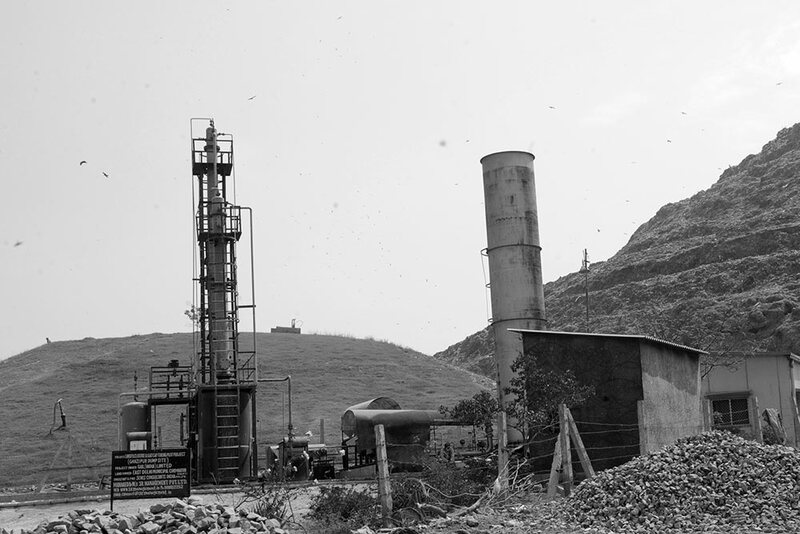 Bio-remediation Pilot project being carried out at Ghazipur? 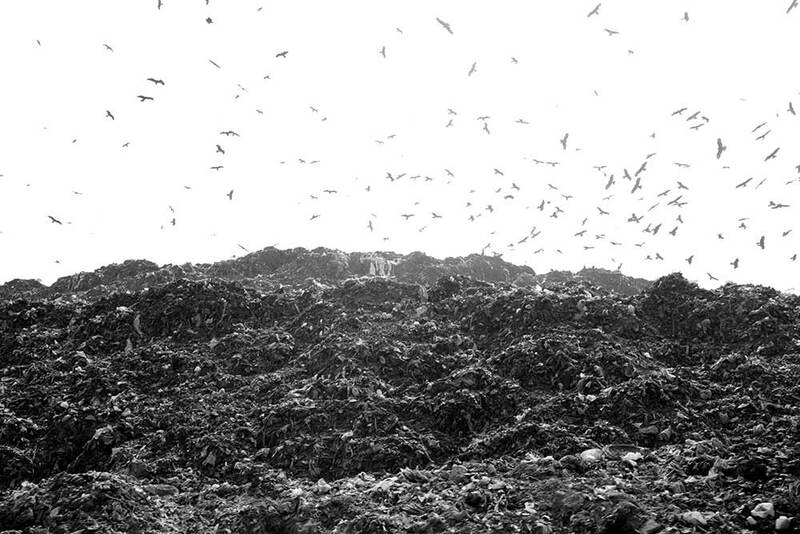 landfill to bring down the volume of biodegradable waste. The project aims to reduce the volume by over 40 per cent. Biomediation culture being sprayed on windrows which are turned over once a week to allow for aeration, this prevents accumulation of harmful gases that can ignite. This method also considerably reduces use of water to manage fires on landfils.